A huge lineup of World, Open and All-Age Class corps is set to take the field at the University of Wisconsin – Whitewater on Sunday, July 5, during the annual Whitewater Classic. 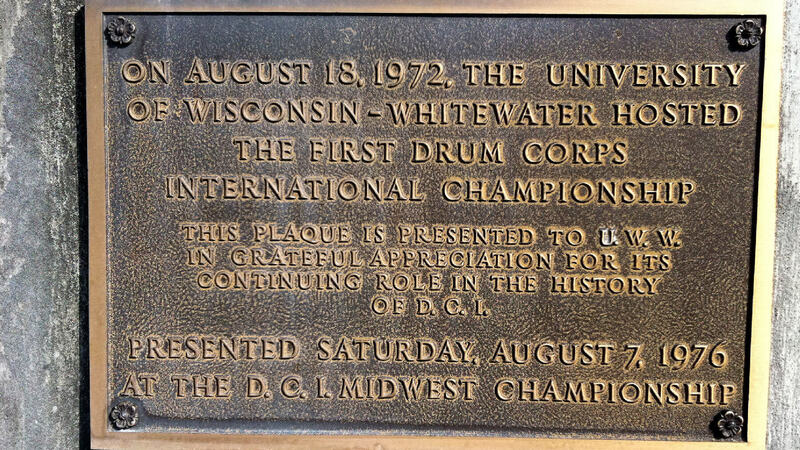 Steeped in drum corps tradition, Whitewater’s Perkins Stadium was the site of the very first DCI World Championship in 1972 and once again in 1973. The event will be webcast on the DCI Live! streaming video platform. The broadcast begins at 4:30 p.m. CT, with the first corps stepping off at 5 p.m. CT.
All times Central Time Zone, approximate and subject to change. PLEASE NOTE: This DCI Live! webcast will be available for viewing primarily on desktop computers. Mobile streaming is available through the DCI.org iPhone app, with the anticipated launch of brand new custom mobile apps designed for the Android phone and iPad in the coming weeks. The webcast can be accessed as part of a season-long subscription package or pay-per-view. Santa Clara Vanguard hasn’t made a trip to Whitewater since 1997, when the corps took second place to the Blue Devils at the DCI Midwest Preview. As the first corps to break 80 points during the 2015 DCI Tour, many have been watching Vanguard closely to see how the corps stacks up against the competition. The Bluecoats have been on the precipice of breaking 80 points for a number of days, finishing with a 79.900 on July 3 in Rockford, Illinois. Sunday will be the first time 2013’s silver medalists will face Santa Clara Vanguard. The Whitewater event will feature one of the largest Open Class lineups to date on the DCI Tour. Earning scores in the mid-50s in recent events, competition looks to be tight between Genesis (55.900, July 3 Cedarburg, Wis.), Music City (54.100, July 3, Rockford, Ill.) and Legends (57.900, July 3, Rockford, Ill.). After spending June on the West Coast, Phantom Regiment is back in the Midwest. Scoring 72.200 at its hometown show on July 3 in Rockford, Illinois, the corps finished in third place behind the Cavaliers. Regiment’s eyes may be on the Blue Stars who scored 72.800 on the same day in Cedarburg, Wisconsin. It hasn’t been since the 2009 DCI World Championship Finals in Indianapolis that the Blue Stars have finished ahead of Phantom Regiment.